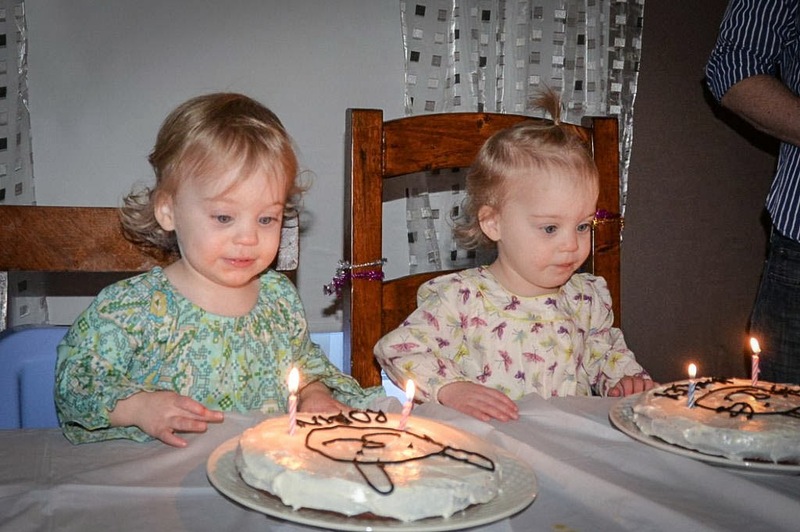 Yesterday my miracle twins turned two. I realize it's sappy and perhaps not even sentimental to anyone else when I refer to them as such, but they are my miracles: they restored my hope, answered a prayer, and showed me who I was. Truly, the day they were born, I became a changed woman. A better version of myself. I surrendered to fear, gathered my strength, brought them to life, and found a deep reserve of calm, still water that guided me through the difficulty of the following months. Yesterday was the anniversary of THAT happening. And, no less importantly, the arrival of two girls into the world who have proven themselves lovely additions. They are sweet, talkative, silly, loving, co-operative, learning about their world, cuddly and curious. 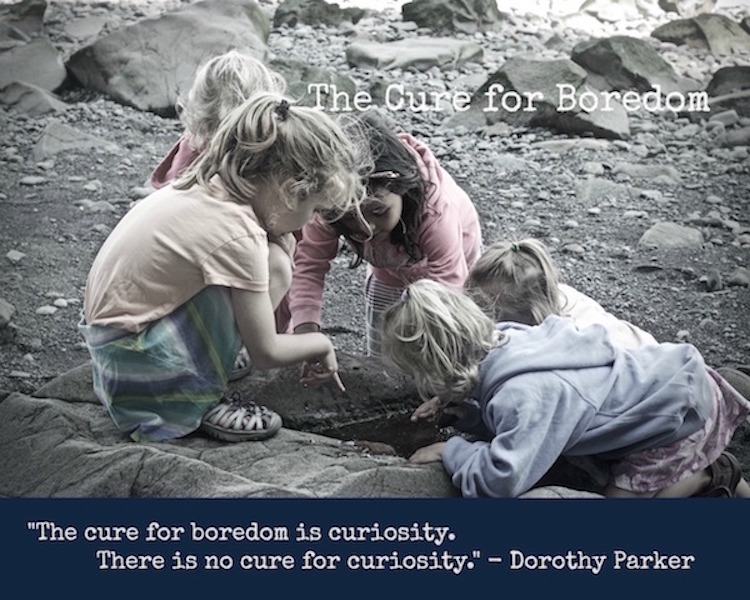 I spent the day playing with them, and watching them play together while I cleaned up our house with the help of our family, in preparation for their big party. It was kind of a blowout event! It was laid back and simple, but a huge big crowd. We wanted to celebrate our being home and having the ability to invite all the people we love to come celebrate with us under one roof. And did you ever! We had about 30 people and another 10 kids running around partying. We ate homemade lasagnas (four! ), garlic bread, salads, cupcakes and cake. It was remarkable. I stopped a few times to catch my breath and marvelled at how much love was in the house. It was so palpable--we all felt it. 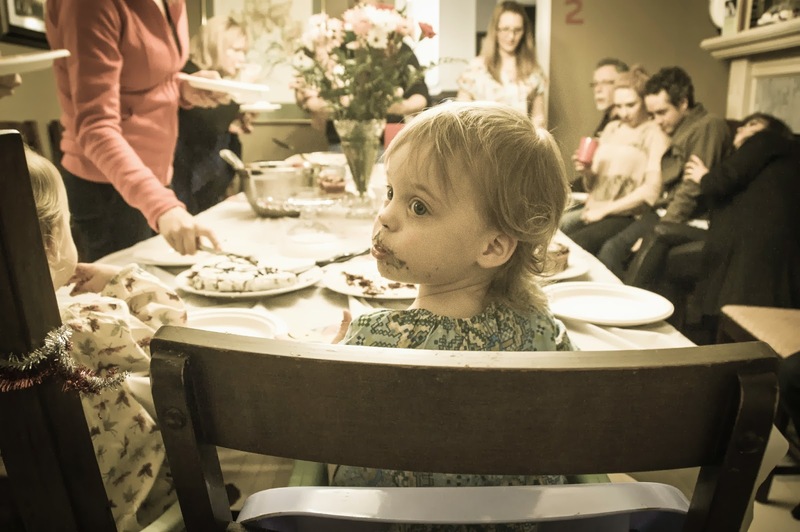 The look on Hailey and Robin's faces as their cakes were brought in, all of us singing, candles aglow, was so sweet. I could see they felt so special. 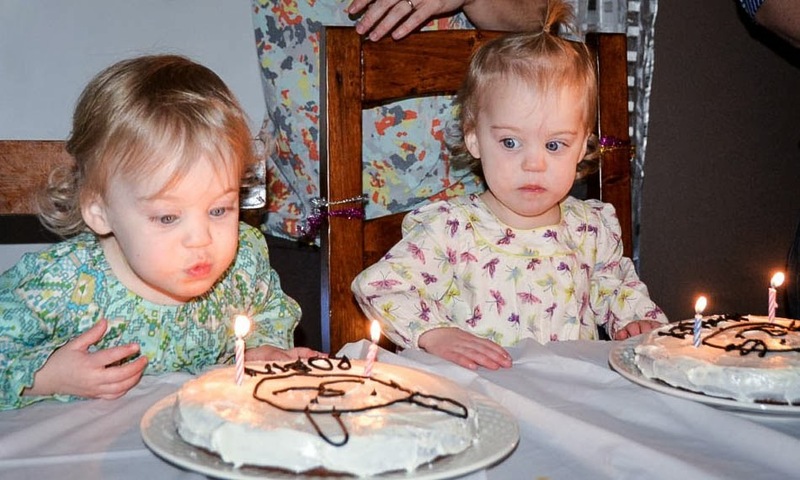 They had watched Abby blow out candles a dew weeks ago, and knew just what to do. What's cuter than watching a newly-minted two-year-old blow soft, wispy breaths that are so light and airy the flame doesn't even flicker? 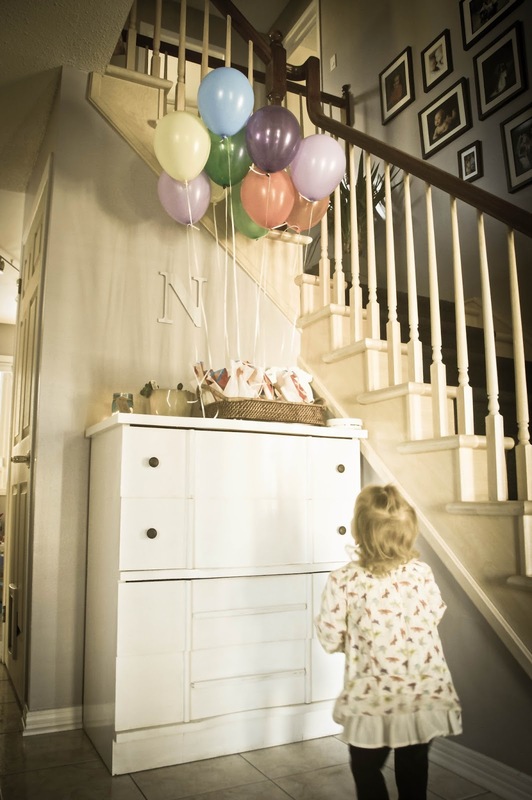 In honour of the miracle of their birth, we felt inclined to continue paying it forward. An anonymous commenter of this blog in December tuned me into a local organization that aims to help single parents get on their feet, called The Youville Centre. I can't imagine how I would ever have got through any of my babies' infancy and toddlerhood as a single parent. I feel a kinship with any new mother, and feel for anyone struggling through such a beautiful season of life. So, we asked guests in lieu of gifts to please bring diapers, wipes and other baby essentials for us to donate to the centre. I am so excited to pass these gifts on to people I know could use the extra hand. 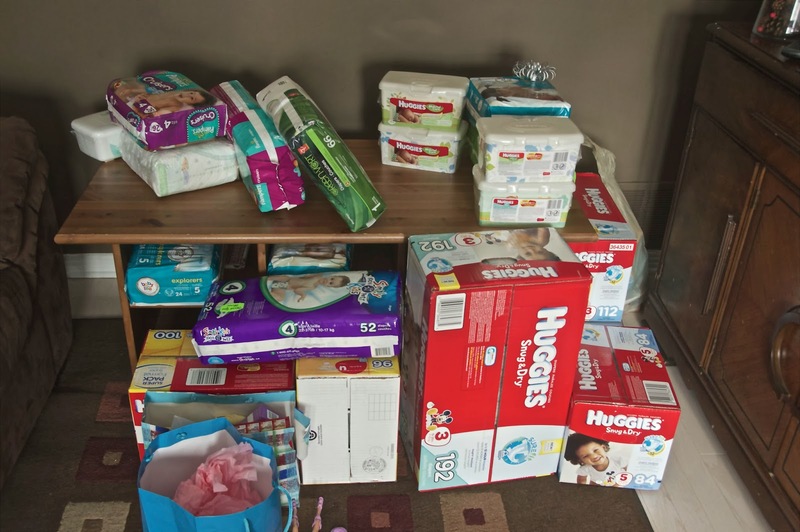 Babies go through diapers and wipes so quickly, it's astounding sometimes! Hailey and Robin are giggling at my feet right now, making each other laugh by clasping their hands and pulling each other around in circles. It is one of the sweetest sounds. Time to jump back into the fun!